Clubs of the SWP region are invited to send us news items for inclusion here. This year�s U.S. World dance contingent is as strong and promising as ever and is lead by Madison Hubbell & Zachary Donohue, the 2018 World silver medalists and reigning U.S. titlists, Madison Chock & Evan Bates, the 2019 U.S. silver medalists and two-time World medalists (silver in 2015 and bronze in 2016) & Kaitlin Hawayek and Jean-Luc Baker, who were third at the 2019 U.S. Championships. Collectively and individually, this faction ought to make a major mark at the World Championships in Saitama this week, with each team, particularly the first two U.S. ones, holding competitive resumes that are both impressive and extensive. At the same time, each one of these teams work with the same coaches, Marie-France Dubreuil and Patrice Lauzon in Montreal, Quebec, which makes their bond all the more unique and special. Hubbell, a Michigan native and Donohue, who grew up in Hartford, Connecticut, said they are very much looking forward to competing in Saitama. Since Februarly, the two have also been working to make certain all of their technical elements are on point, particularly since having their stationary lift in the free dance at Four Continents not earning any levels (since they had apparently moved during that particular maneuver). According to Hubbell & Donohue, this turn of events inspired them to focus more than ever on their technicality in the weeks leading up to Worlds, especially in regard to the lift. 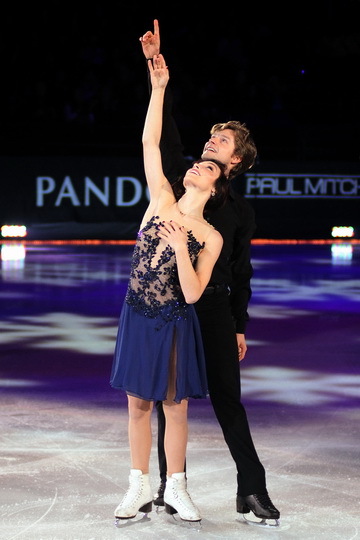 After Four Continents, the duo went back to Montreal and, in tandem with their coaches, looked at the lift, analyzed it and then made the necessary changes. The two said they are also very much motivated by the whole training atmosphere in Montreal. Chock & Bates, the 2015 U.S. titlists who are also two-time Olympic contenders (in 2014 and 2018) said they are as geared up as ever to make a splash in Saitama. 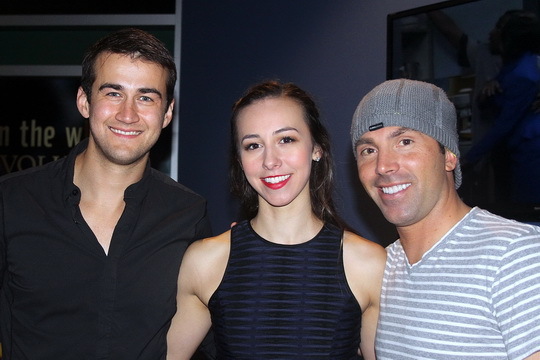 This duo, who has been training with Dubreuil and Lauzon for nearly a year now, valiantly scored gold at the Four Continents Championships this past February, which has given them a huge confidence boost heading into Worlds this week. Chock said she especially loves the team�s free dance program this season to �Fever� by Elvis Presley and Michael Buble and �Burning Love� by Elvis Presley. This duo, meanwhile, also credited their success so far this season to their tutelage under the direction of Dubreuil and Lauzon. 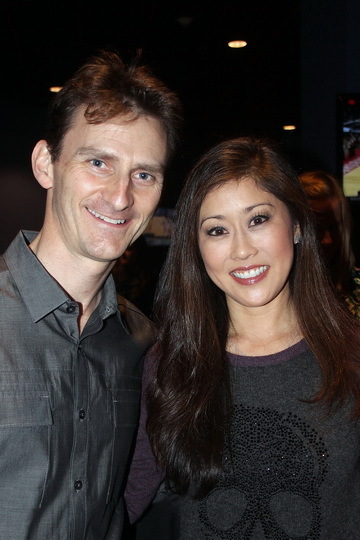 Bates said the energy of the Montreal rink environment has also helped boost the team�s spirits and outlook in regard to their skating. Hawayek & Baker, meanwhile, are also excited for a memorable outing this week at Worlds. 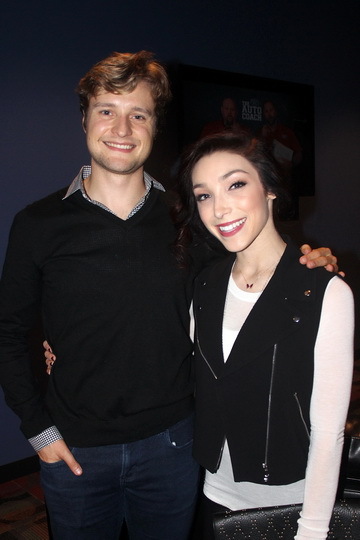 This duo, who were the 2018 Four Continents champions, are known for their terrific technique and energy and should rack up some big points. For the Rhythm Dance, they�ll be skating to �Vuelo al Sur� and �A Los Amigos� by Juan Carlos Caceres and for their free dance, the two will interpret the �Trampoline Theme� and �In This Shirt� by the Irrepressibles. As mentioned earlier, Hawayek & Baker also train in Montreal with Dubreuil and Lauzon. Bradie Tennell, the 2019 U.S. silver medalist and 2018 U.S. titlist and Mariah Bell, the 2019 and 2017 U.S. bronze medalist, are primed to compete in Saitama, Japan at the 2019 World Championships this week. Tennell, a Chicago area native and Bell, who hails from Westminster, Colorado, will skate the ladies short program on Wednesday. Tennell and Bell will face off against prominent World contenders such as Russian Alina Zagitova, the 2018 Olympic Champion, Russian Evgenia Medvedeva, the 2018 Olympic silver medalist and Kaori Sakamoto, the 2019 Japanese titlist, among others. Tennell, who catapulted to the forefront of the sport in November 2017 when she scored bronze at the International Skating Union Skate America Championships in Lake Placid and then scored the U.S. title two months later in January 2018, said she wants to put out two first-rate programs this week. In a pre-Worlds media teleconference call held a week ago, Tennell said she was fired up to compete in Saitama. Tennell, who coaches a handful of students in and around the Chicago area, said that in leading up to Worlds, her training has been going well. Bell, meanwhile, who trains in Irvine, California with Rafael Arutyunyan (coach of Nathan Chen, the 2018 World champion, among others), is also laser focused on making her mark in Saitama. Bell, known for her incredible speed, strength and flow, said she is thrilled about skating in Worlds. Bell also talked about Arutyunyan�s effect on her as a coach. 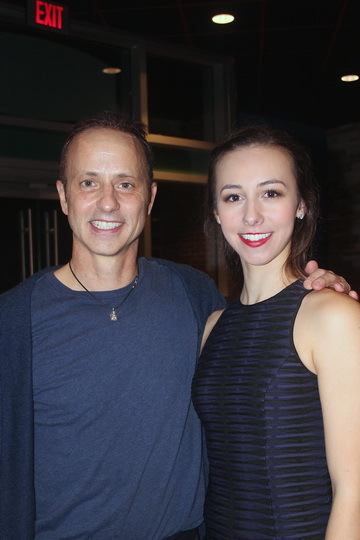 Bell said that she has also enjoyed working with Shae-Lynn Bourne (the former Canadian World champion ice dancer with Victor Kraatz) as one of her choreographers this season, citing the long program (to Ludovico Einaudi�s �Divinire�) that was created for her by this renowned former top world dance contender as a personal favorite. The U.S. men�s contingent is set to make their mark at the 2019 World Figure Skating Championships this week, to be held in Saitama, Japan Wednesday, March 20th through Sunday, March 24th at the Saitama Super Arena. This event, which is taking place in this bustling Japanese urban locale located nearly an hour northwest of Tokyo (and considered to be part of the Greater Tokyo Area) is the culmination of the season for the sport�s top men�s and ladies� singles, pairs and dance contenders, all of who are vying for a top position and to establish themselves as top-seed contenders leading up the 2022 Winter Olympic Games in Beijing, China. 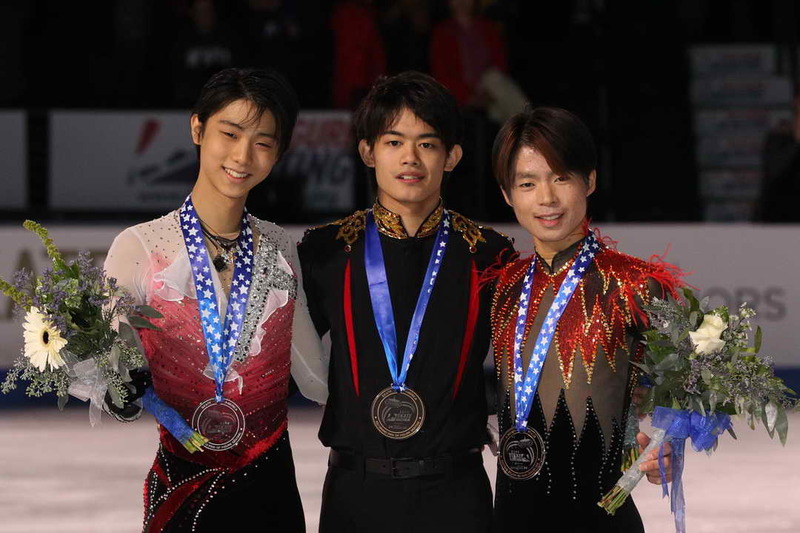 Leading this season�s U.S. World men�s contingent is Nathan Chen, the 2018 World champion and Yale University freshman who claimed his third consecutive U.S. title last January in Detroit with a superb back-to-back series of short and long programs. 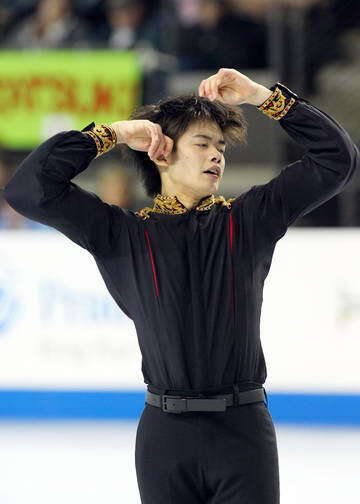 Chen, who trains at various rinks in the New Haven and Cromwell, Connecticut area, near his academic home base of Yale said he is looking forward to this event. 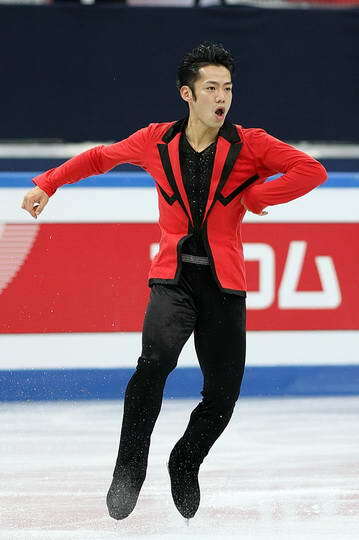 Chen, who is also a two-time International Skating Union Grand Prix Final champion (in 2017 and 2018), said his primary goal is to keep improving from competition to competition, something he certainly seems to be achieving based upon his tremendous performance level and results over the last several years. 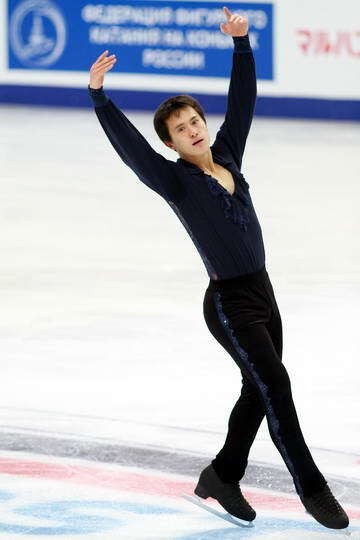 Certainly, Chen seems to be accomplishing this task in every way, shape and form, as over the past number of seasons he has helped set a whole new technical bar with his extensive library of quads, including a Salchow, toe loop, flip and Lutz, which he executes regularly in his programs and which has catapulted him to the pinnacle of the sport. 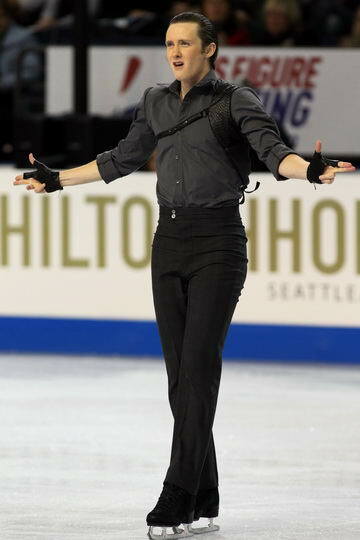 At Worlds this week, Chen plans to skate the same short and long programs that he did at Nationals in January. Meanwhile, in regard to the �big� picture, Chen seems to be laser focused on building toward being in optimal position for the 2022 Olympics and is doing everything possible to make the most of his journey as he continues working toward that goal. The Salt Lake City native, who works with Rafael Arutyunyan via Facetime from California while training almost daily in Connecticut, said he is happy in regard to where everything stands right now. Chen has been taking courses on such subjects as math, abnormal psychology and music at Yale, which he said he really enjoys and seems to have adjusted quite well to his new life of training and college academia. 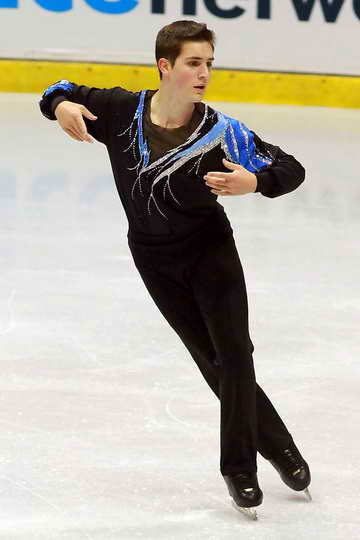 Vincent Zhou, the talented 18 year-old San Jose, California native who clinched silver at the 2019 U.S. Nationals, also seems geared up to have a memorable outing in Japan this week. This amiable and strong athlete, who trains with Tammy Gambill, Christy Krall and Tom Zakrajsek in California and Colorado, is the 2017 U.S. silver and 2018 U.S. bronze medalist and is the first skater to have ever landed a quad Lutz at the Olympics (in 2018, where he finished sixth), designating him as a serious prospect for the World Championship leaderboard. 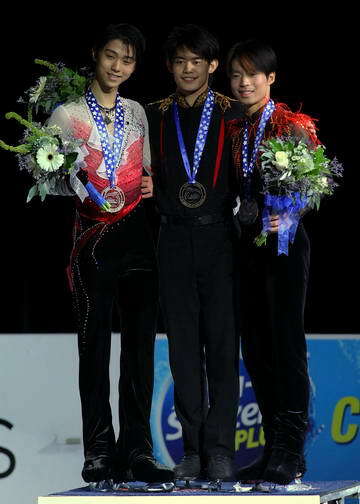 Zhou, who clinched bronze at the 2019 Four Continents Championships last February, said he has been working hard and making progress since then. According to Zhou, who, like Chen, has rightfully earned the reputation as a global technical ace, the most important thing about maintaining good flow and condition is to effectively manage training on a daily basis. Finally, he said he makes sure to get adequate rest and nourishment in order to be at optimal pace for training and competing. 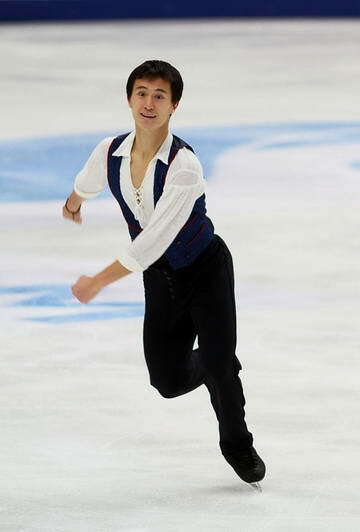 Zhou also addressed the high standard of skating among every competitor in his event. 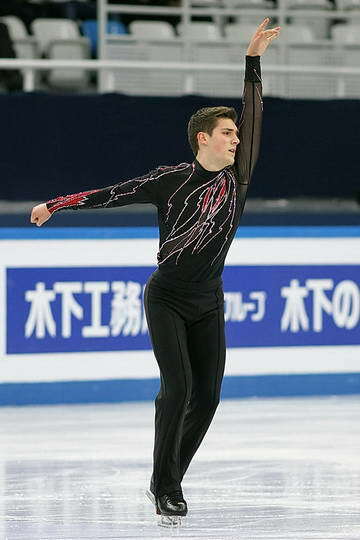 Jason Brown, the 24 year-old Highland Park, Illinois native who is the 2019 U.S. bronze medalist and 2015 U.S. champion, also appears poised to make a lasting mark in Saitama. 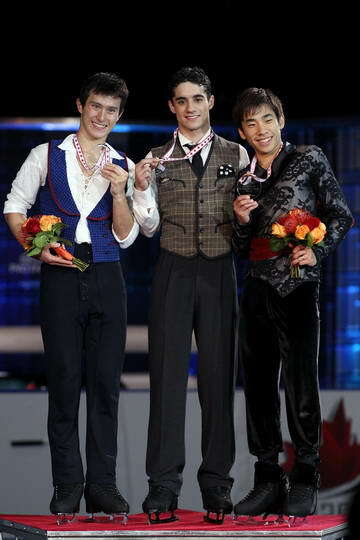 Brown, who trains in Toronto with Brian Orser and Tracy Wilson, said he is excited as ever to compete at Worlds. Brown, who has a total of four U.S. Championship (senior) medals (he was second at the 2014 Nationals and third at the 2017 Nationals), said he has been focused on building a super-strong base this past year. Last spring, he began training with Orser and Wilson in Canada after having spent many successful years with Kori Ade, with whom he had worked with in the Chicago area and Monument, Colorado, respectively, prior to moving to Toronto. Brown said his primary goal at Worlds is to just skate his best. Five years after being held in Saitama, the World Championships 2019 will take place in the same marvelous �Super Arena� in this large Japanese suburb of Toyko, about 45 minutes north of downtown. All skaters, coaches and officials stay in a Tokyo hotel and come to the arena every day by shuttle bus. For about ten years, Japan is the country with the biggest and most enthusiastic figure skating public. Their stars are as popular as top baseball or football players in the USA and earn millions of dollars with commercials. Two of the four 2018 World Champions try to defend their titles: Nathan Chen and French ice dancers Papadakis & Cizeron. The other two 2018 World Champions Kaetlyn Osmond and the German pair Savchenko & Massot do not compete this season. In the ladies competition, a hard fight for the medals between the Japanese and the Russian skaters may be expected. The favorite is Rika Kihara from Japan who won the Grand Prix Final and the Four Continents Championships in Anaheim, USA and is the only lady in Saitama with a triple Axel, but she was only second at Japanese Nationals. The new Japanese Champion Kaori Sakamoto has no triple Axel, but her other triple jumps are often very clean. Satoko Miyahara is the most elegant of the three Japanese ladies, but her jumps are relatively small. Olympic Champion Alina Zagitova and the 2016 and 2017 World champion Evgenia Medvedeva also want the title or at least a medal, as well as the third Russian Sofia Samodurova. Skaters of other countries seem to have only chances if the Japanese and Russian ladies make several mistakes. U.S. champion Bradie Tennell of the Chicago area as well as Mariah Bell of California hope at least to be in the top six or eight. Elizabet Tursynbaeva from Kazakhstan has also high ambitions after winning silver at the Four Continents as well as Loena Hendrickx from Belgium and Eunsoo Lim from South Korea. Full time student and U.S. Champion Nathan Chen is �on Spring Break in Japan� and therefore has time to compete at Worlds. 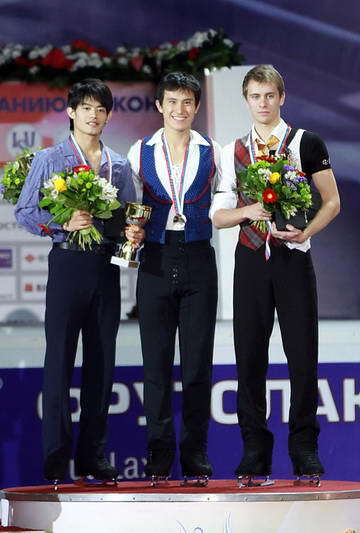 He and Japanese superstars Yuzuru Hanyu and Shoma Uno are the favorites in the men�s competition. 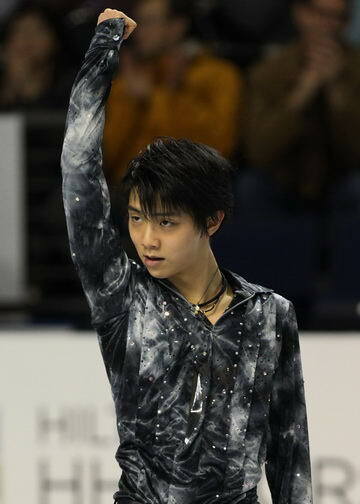 For Hanyu, it is the first competition after the Cup of Russia in the fall where he injured his ankle. Uno also has some problems but at least he won Four Continents. Other medal candidates are Junhwan Cha from South Korea, the two Russian skaters Mikhail Kolyada and Alexander Samarin and the Chinese man Boyang Jin. Hopeful for a Top Ten position are also the two U.S. skaters Jason Brown and Vincent Zhou, the third Japanese skater Keiji Tanaka, the Czech skater Michal Brezina and the Italian Matteo Rizzo. The big favorites in ice dancing are French World Champions Gabriella Papadakis & Guillaume Cizeron. Two U.S. dance teams can hope for a medal as well: Madison Hubbell & Zachary Donohue were silver medalists last year, Madison Chock and Evan Bates beat them at Four Continents. Other dance couples who may hope for a medal are Italians Charl�ne Guignard & Marco Fabbri as well as the two Russian teams of Victoria Sinitsina & Nikita Katsalapov as well as Alexandra Stepanova & Ivan Bukin. Two of Canada�s couples aspire a top position: Kaitlyn Weaver & Andrew Poje as well as Piper Gilles & Paul Poirier. In pairs skating one team from France, two from Russia and two from China might be the best in Saitama. Vanessa James & Morgan Cipr�s from France won the Grand Prix Final in December and the European Championships in January. They are kind of favorites if they do not make mistakes. Wenjing Sui & Cong Han, runner-ups at Worlds in 2018, would be the favorites, but Sui still suffers from several injuries she had in the last 12 months. So we have to wait and see in which shape she is. The other Chinese pair of Cheng Peng & Yang Jin also has high ambitions. Evgenia Tarasova & Vladimir Morozov from Russia also hope for a gold medal, but they were not so excellent at Europeans. Their team mates Natalia Zabiiako & Alexander Enbert are back. They had to leave out Europeans because Enbert had to undergo some mysterious medical examination. The Canadian pair of Kirsten Moore-Towers & Michael Marinaro as well as the new U.S. champions Ashley Cain & Timothy LeDuc as well as the Italians Nicole della Monica & Matteo Guarise also hope for a good position in the top eight. Alysa Liu Stuns With Remarkable Technical Skill - In January, the skating world and the American public was stunned by Alysa Liu, the tiny 13 year-old California jumping jack who clinched the 2019 U.S. Senior Ladies title with her remarkable array of jumps (which included three triple Axels combined in the short and long programs), making 2019 a memorable Nationals on many fronts. 28 Mar. - U.S. Figure Skating announces the athletes chosen to represent the United States at ISU World Team Trophy 2019. The event is set for April 11-14 in Fukuoka, Japan. 6 Feb. - Past U.S. Figure Skating president Franklin Nelson (6/2/1933 - 2/6/2019), died yesterday after along illness. 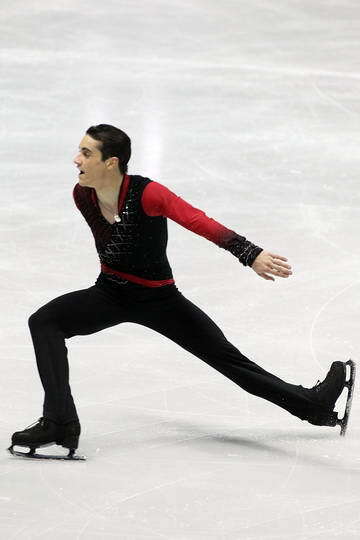 Nelson started his skating career in his home town of Tulsa, OK and continued it at the Skating Club of Boston, during college at Harvard. He was President of U.S. Figure Skating from 1989-1992 and was the last president to also be a National Champion - Junior Dance 1955 with Sidney Foster. They were bronze medalists in senior in 1956 and went on to compete in the World Championships in 1956, where they placed seventh. HHe served on the board of directors of U.S. Figure Skating for 10 years, Midewest Vice president 1980-1983, Dance Committee Chair 1975-1078, the first Chair of the USFS Sports Medicine Committee, and an original and long time member of the ISU Sports Medicine Committee, as well as an Honorary Member of USFS Board of Directors. He was an ISU World Judge, judging International and World competitions, the Olympics Games in Sarajevo in 1984, team leader for the World Championships in 1973 and 1974, and team leader for the Olympics Games at Innsbruck 1976. Nelson joined the U.S. Navy in 1956, studied at medical school and became a surgeon. He received his M.D. and A.B. from Harvard University. He served on active duty for two intervals in the Navy, reaching the rank of Captain. While president of U.S. Figure skating he served on active duty during the first Gulf War. 5 Feb. - U.S. Figure Skating announced the selection of the Ladies and Men's World Junior Team members. 24 Jan. - U.S. Figure Skating announced the selection of Orleans Arena in Las Vegas as the host for 2019 Skate America, Oct. 18-20, 2019. The international event will be the first of six stops on the International Skating Union (ISU) Grand Prix of Figure Skating Series for 2019/20. 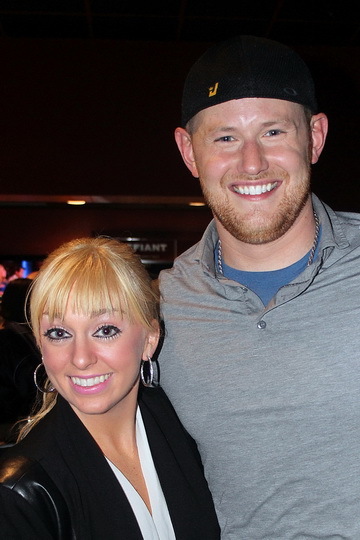 19 Jan. - Yesterday, John Coughlin, two-time U.S. 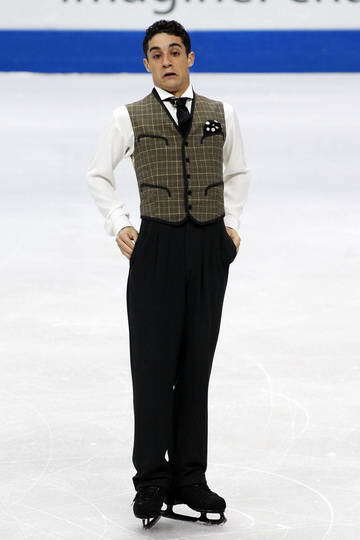 Figure Skating pairs champion (2011, 2012) committed suicide. 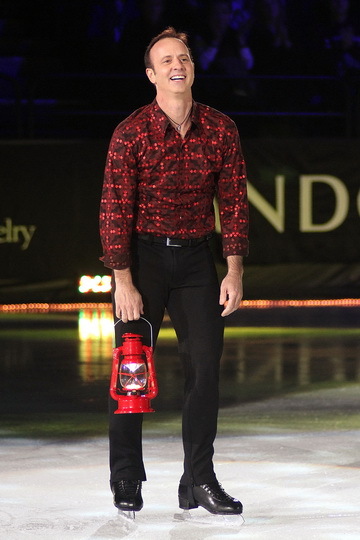 Coughlin was under investigation by Safesport since March 2018 and suspended from involvement in Figure Skating on17 Dec. 2018, rumored to be due to an accusation of a sexual violation with an underage female skater. 4 Jan. - The ISU Council has provisionally allotted the ISU Grand Prix of Figure Skating Final 2019 to the Federazione Italiana Sport del Ghiaccio (FISG). The Event is to be held on December 5-8, 2019 in the Palavela arena in Torino (ITA). This will be the second time the Grand Prix Final has been held at the Palavela arena, site of the figure skating competition for the 2006 Olympic Winter Games.